Image of a wedding cake at Tuscany, Italy Palazzo Corsini. 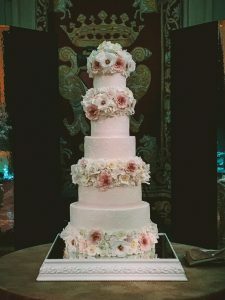 Created for an luxurious destination wedding in the heart of historic Florence, this tiered cake design featured hundreds of delicate sugar flowers and a custom hand-piped brush embroidered sugar design. 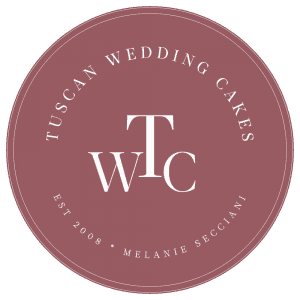 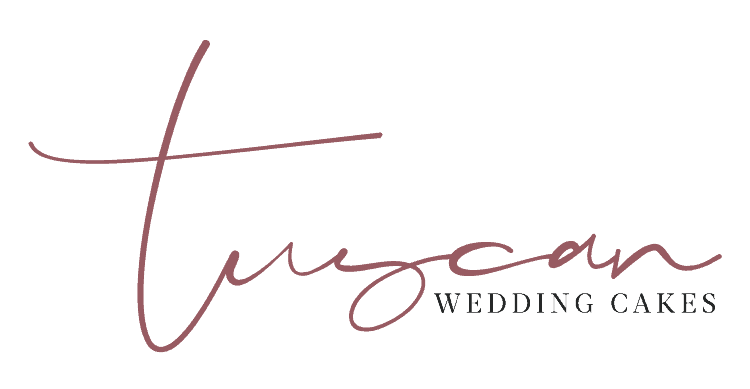 Inside was Tuscan Wedding Cakes signature Dark Raspberry Wedding Cake – layers of vanilla sponge cake with raspberry coulis and chocolate mousse.